New findings from rock samples collected and examined by NASA's Mars Exploration Rover Opportunity have confirmed an ancient wet environment that was milder and older than the acidic and oxidizing conditions told by rocks the rover examined previously. In the Jan. 24 edition of the journal Science, Opportunity Deputy Principal Investigator Ray Arvidson, a professor at Washington University in St. Louis, writes in detail about the discoveries made by the rover and how these discoveries have shaped our knowledge of the planet. 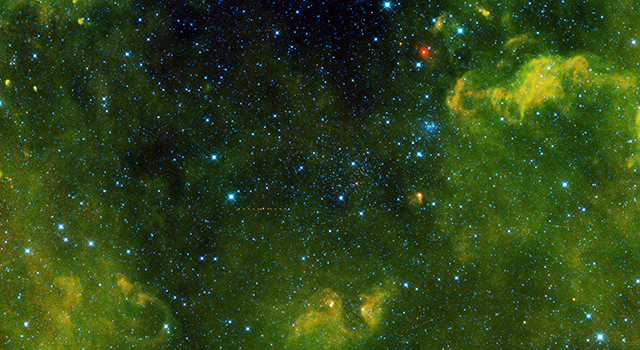 According to Arvidson and others on the team, the latest evidence from Opportunity is landmark. "These rocks are older than any we examined earlier in the mission, and they reveal more favorable conditions for microbial life than any evidence previously examined by investigations with Opportunity," said Arvidson. While the Opportunity team celebrates the rover's 10th anniversary on Mars, they also look forward to what discoveries lie ahead and how a better understanding of Mars will help advance plans for human missions to the planet in the 2030s. 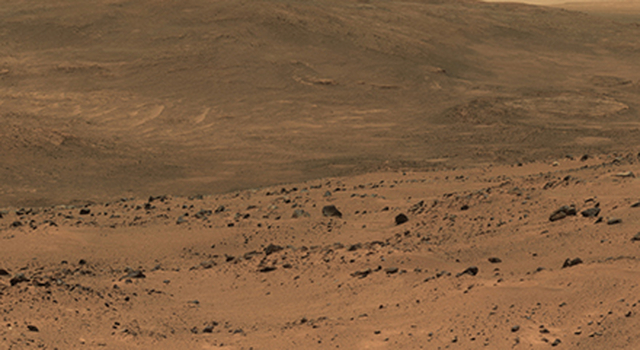 Opportunity's original mission was to last only three months. On the day of its 10th anniversary on the Red Planet, Opportunity is examining the rim of the Endeavour Crater. It has driven 24 miles (38.7 kilometers) from where it landed on Jan. 24, 2004. 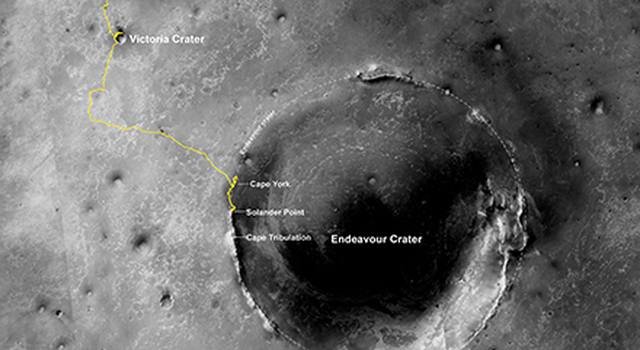 The site is about halfway around the planet from NASA's latest Mars rover, Curiosity. To find rocks for examination, the rover team at NASA's Jet Propulsion Laboratory in Pasadena, Calif., steered Opportunity in a loop, scanning the ground for promising rocks in an area of Endeavour's rim called Matijevic Hill. 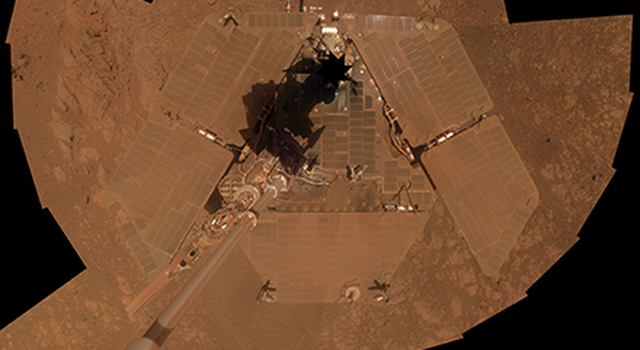 The search was guided by a mineral-mapping instrument on NASA's Mars Reconnaissance Orbiter (MRO), which did not arrive at Mars until 2006, long after Opportunity's mission was expected to end. 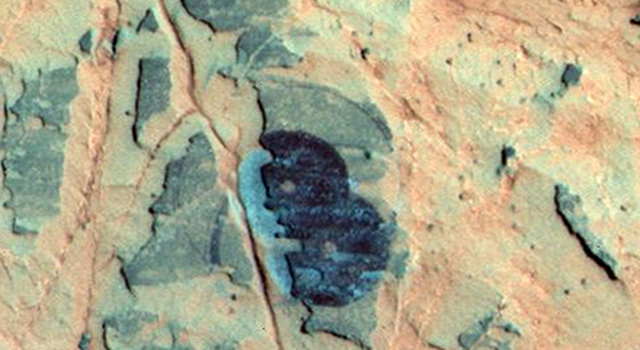 Beginning in 2010, the mapping instrument, called the Compact Reconnaissance Imaging Spectrometer for Mars, detected evidence on Matijevic Hill of a clay mineral known as iron-rich smectite. The Opportunity team set a goal to examine this mineral in its natural context -- where it is found, how it is situated with respect to other minerals and the area's geological layers -- a valuable method for gathering more information about this ancient environment. 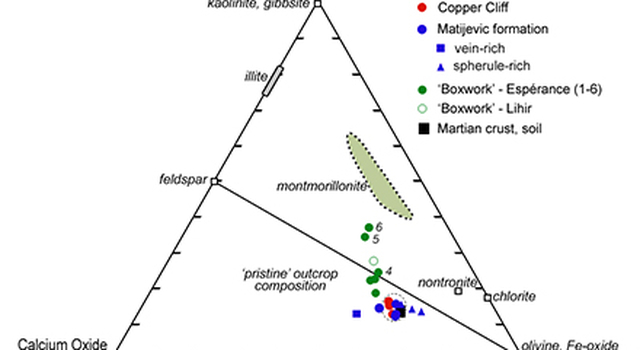 Researchers believe the wet conditions that produced the iron-rich smectite preceded the formation of the Endeavor Crater about 4 billion years ago. "The more we explore Mars, the more interesting it becomes. These latest findings present yet another kind of gift that just happens to coincide with Opportunity's 10th anniversary on Mars," said Michael Meyer, lead scientist for NASA's Mars Exploration Program. "We're finding more places where Mars reveals a warmer and wetter planet in its history. This gives us greater incentive to continue seeking evidence of past life on Mars." Opportunity has not experienced much change in health in the past year, and the vehicle remains a capable research partner for the team of scientists and engineers who plot each day's activities to be carried out on Mars. 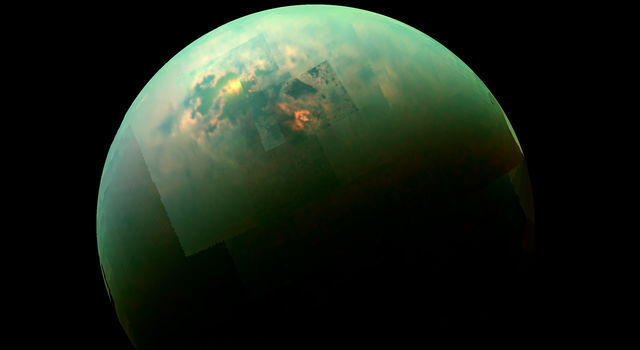 "We're looking at the legacy of Opportunity's first decade this week, but there's more good stuff ahead," said Steve Squyres of Cornell University, Ithaca, N.Y., the mission's principal investigator. 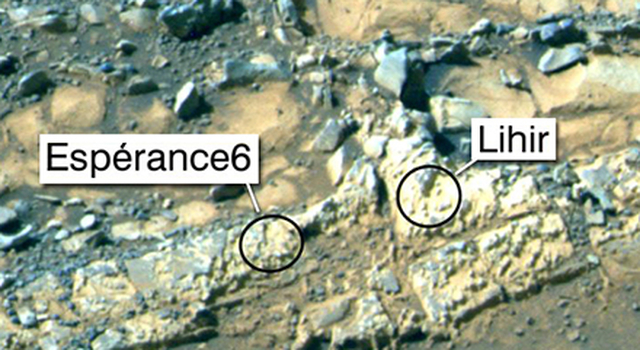 "We are examining a rock right in front of the rover that is unlike anything we've seen before. 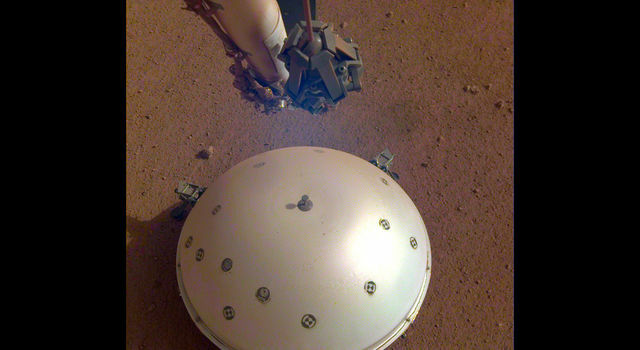 Mars keeps surprising us, just like in the very first week of the mission." 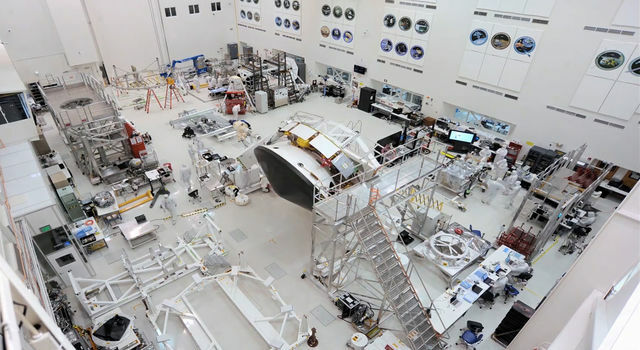 JPL manages the Mars Exploration Rover Project for NASA's Science Mission Directorate in Washington. 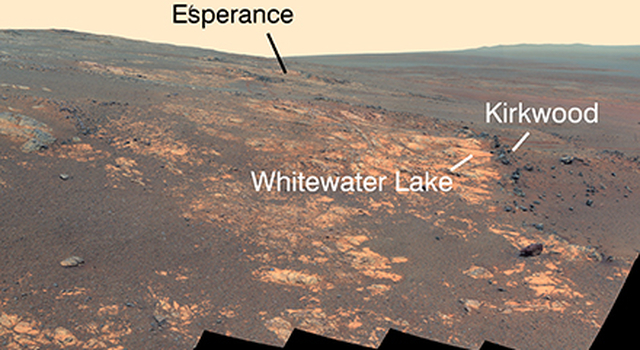 Opportunity's twin, Spirit, which worked for six years, and their successor, Curiosity, also contributed valuable information about the diverse watery environments of ancient Mars, from hot springs to flowing streams. 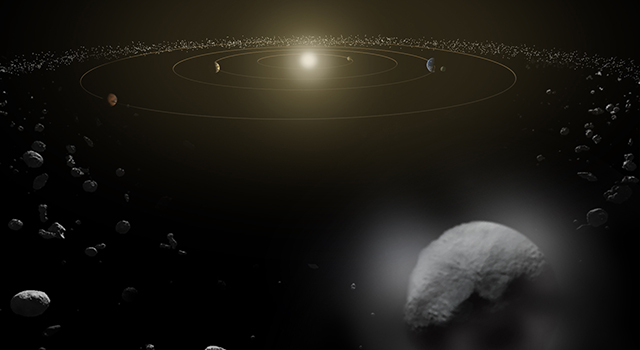 NASA's Mars orbiters Odyssey and MRO study the whole planet and assist the rovers. "Over the past decade, Mars rovers have made the Red Planet our workplace, our neighborhood," said John Callas, manager of NASA's Mars Exploration Rover Project, which built and operates Opportunity. "The longevity and the distances driven are remarkable. But even more important are the discoveries that are made and the generation that has been inspired." Special products for the 10th anniversary of the twin rovers' landings, including a gallery of selected images, are available online at: http://mars.nasa.gov/mer10/ . 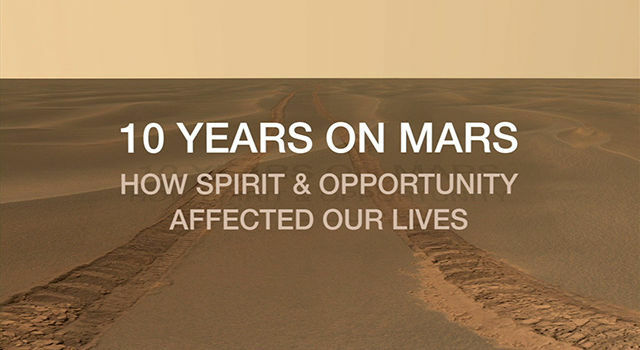 For more information about Spirit and Opportunity, visit: http://www.nasa.gov/rovers . You can follow the project on Twitter and on Facebook at: http://twitter.com/MarsRovers and http://www.facebook.com/mars.rovers .